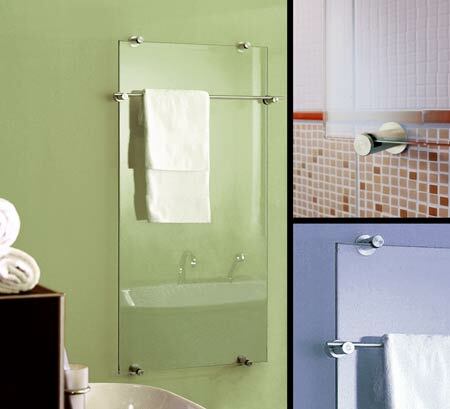 This International award winning glass heating towel rail is designed to be wall mounted. Manufactured in 13mm toughened safety glass each radiator has solid stainless steel fittings wall fittings and towel hanging rail. The heating elements are invisibly built into the radiator glass and the heat is fully controllable via remote controlled thermostat which is a recommended optional extra. * Made of glass & stainless steel. * CURRENTLY UNAVAILABLE - Please email for more information.